Are you tired of the regular ponytails? Now it’s time to try something new. Here is a nice DIY project to make easy twisted side ponytail hairstyle. It looks chic and lovely. The hair from the left hand side is divided into three parts. The three stands of hair are twisted and connected with the ponytail on the right hand side. It’s like using your own hair as a natural ornament! It works for medium to long hair. It’s great for school, a gathering with friends, a walk in the park and many other occasions. The best part of it is that it’s very simple and quick to make. You can make it in less than 1 minutes once you master the technique. Let’s get started! 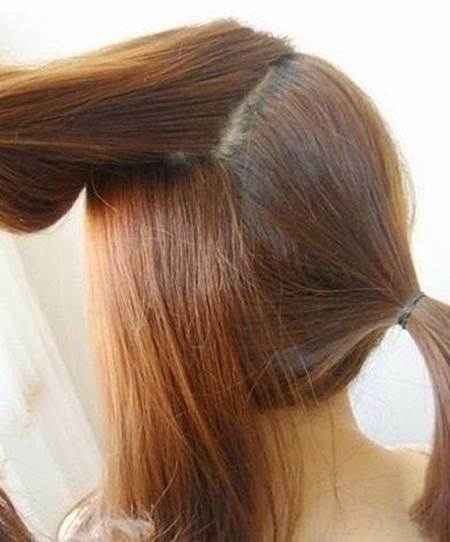 Comb your hair and divide it in half. 2. 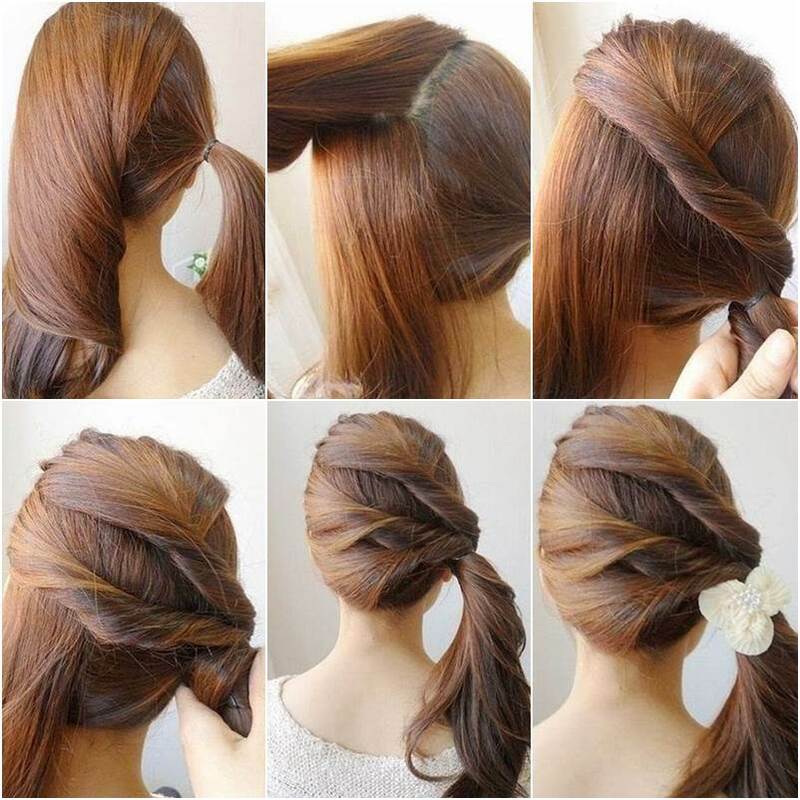 Make a ponytail with the hair from the right hand side and secure it with an elastic. 3. 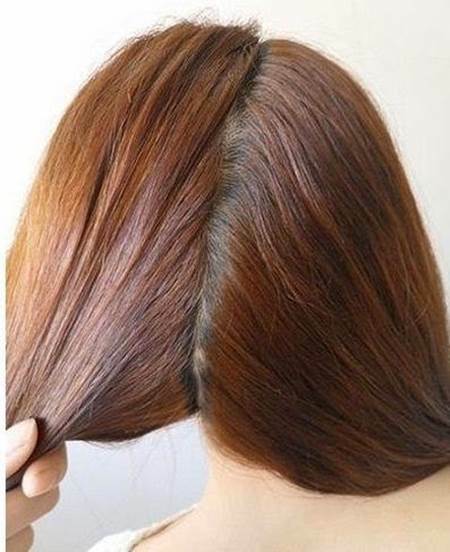 Collect the upper section of the hair from the left hand side. 4. 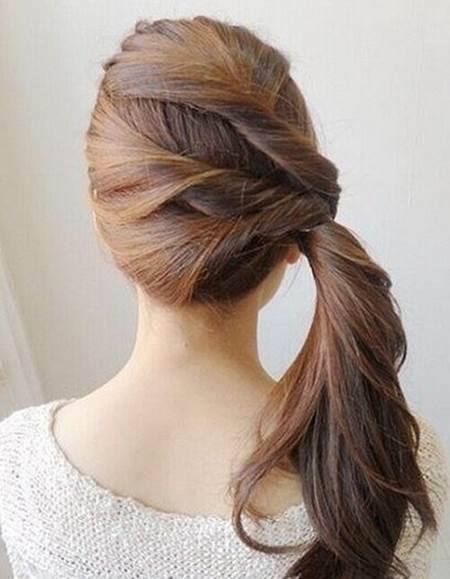 Twist the strand of hair all the way and wrap it around the ponytail. Secure with bobby pins. 5. 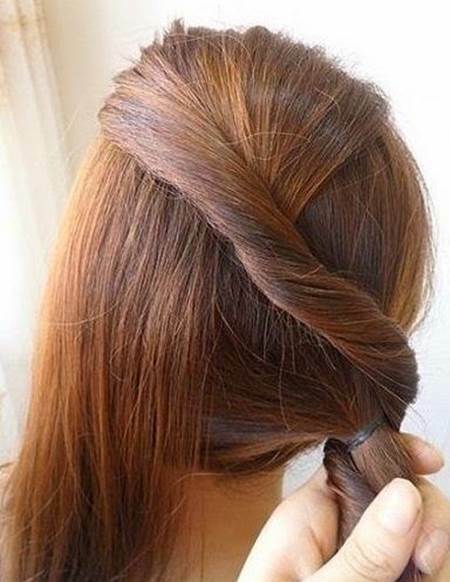 Collect the middle section of the hair from the left hand side and do the same twisting as the upper section of hair. Wrap it around the ponytail and secure with bobby pins. 6. 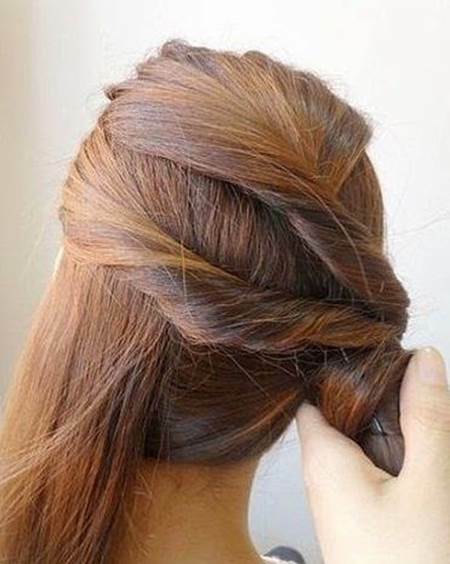 Do the same twisting for the bottom section of the hair from the left hand side. Wrap it around the ponytail and secure with bobby pins. 7. Attach a pretty ribbon flower hair clip to the base of the ponytail. This lovely twisted side ponytail hairstyle is done. Enjoy!